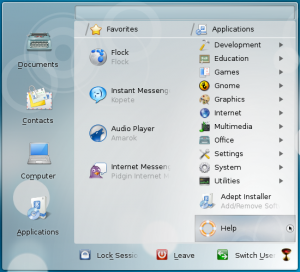 Kickoff is the default application launcher in KDE. 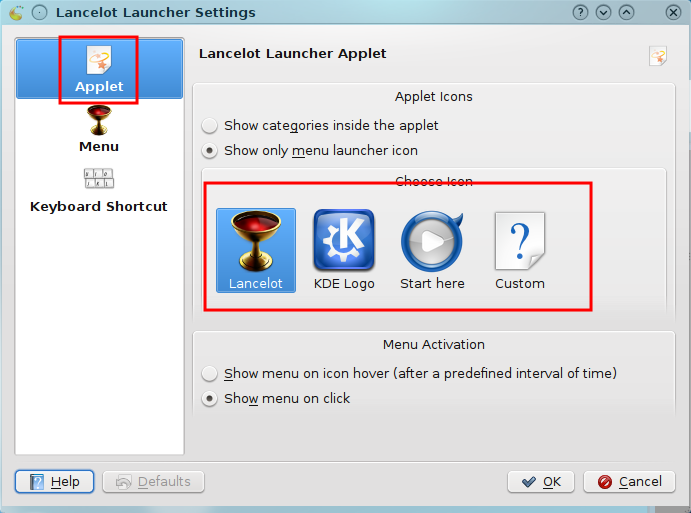 However, KDE 4.x also comes with another very good application launcher called Lancelot. In this article, we show you how to use the Lancelot launcher instead of the default Kickoff and then tweak a few things in Lancelot. If your widgets are locked, unlock it. 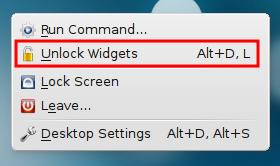 To unlock widgets, right click anywhere on the plasma desktop and click on Unlock Widgets. 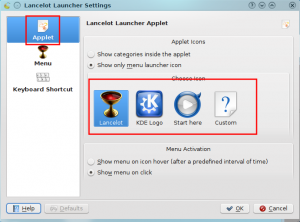 Right click on Kickoff and select Remove This Application Launcher. Right click on the panel and go to Panel Options -> Add Widgets. The Add Widget Window will be opened. Enter "lancelot" in the Search Bar. 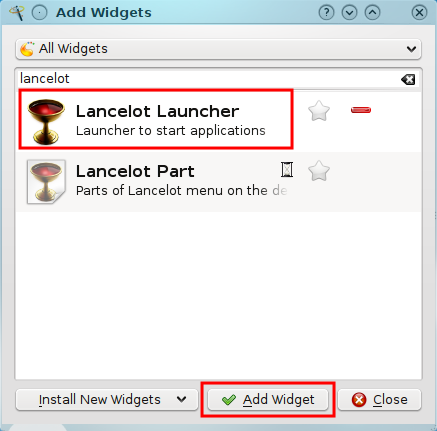 Select Lancelot Launcher and click on Add Widget. Now right-click on the panel, go to Panel Options -> Panel Settings and move the Lancelot Launcher to the position you want. 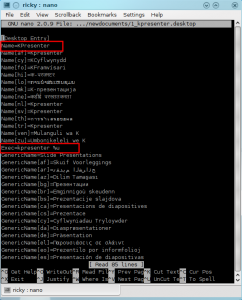 Open konsole and type nano /home/ricky/.kde/share/apps/lancelot/newdocuments/0_kword.desktop and press Enter. Change the following: Name=OpenOffice.org Writer and Exec=ooffice -writer %F. Save and close. 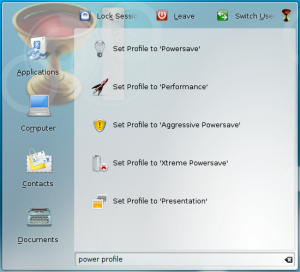 To change Kpresenter to Open Office Presentation, type nano /home/ricky/.kde/share/apps/lancelot/newdocuments/1_kpresenter.desktop in konsole and enter. 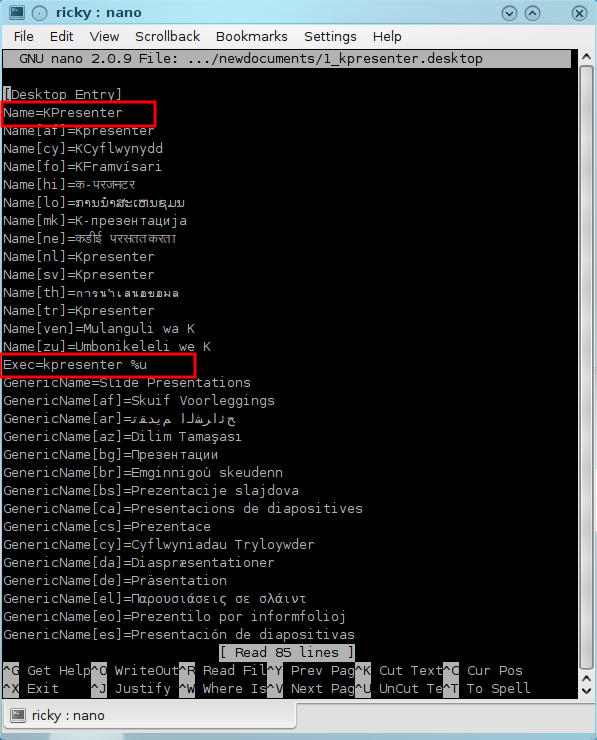 Change the following: Name=OpenOffice.org Presentation and Exec=ooffice -impress %F. Save and close. To use Open Office Spreadsheet instead of KSpread, enter nano /home/ricky/.kde/share/apps/lancelot/newdocuments/2_kspread.desktop in konsole. Change the following: Name=OpenOffice.org Spreadsheet and Exec=ooffice -calc %F. Save and close. And finally, to replace Karbon with Drawing, run nano /home/ricky/.kde/share/apps/lancelot/newdocuments/3_karbon.desktop in konsole. Change the following: Name=OpenOffice.org Drawing and Exec=ooffice -draw %F. Save and close. 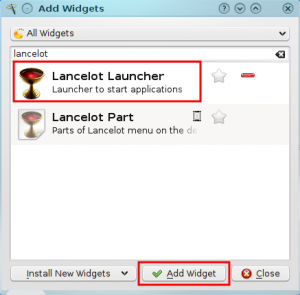 Right click on the Lancelot icon and click on Lancelot Launcher Settings. 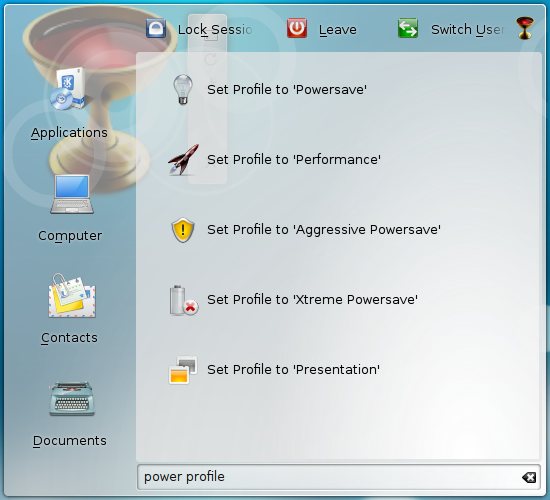 Under Applet, you can choose any of the icons provided or you can put your own icon. 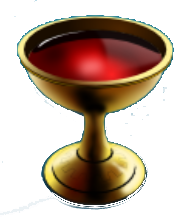 With this Lancelot is ready to take over as your application launcher. On a last note, in case you didn't know, Lancelot also has KRunner built into it.